When we talk about driving your career to thrive, a lot more is needed than just knowledge and information about it. A huge key is to take action. Without action, you won’t get new results. What we hear from a lot of lawyers is that they struggle with consistently acting on their most important professional goals because they get sucked into the day-to-day grind given the competing demands and nature of the legal profession. 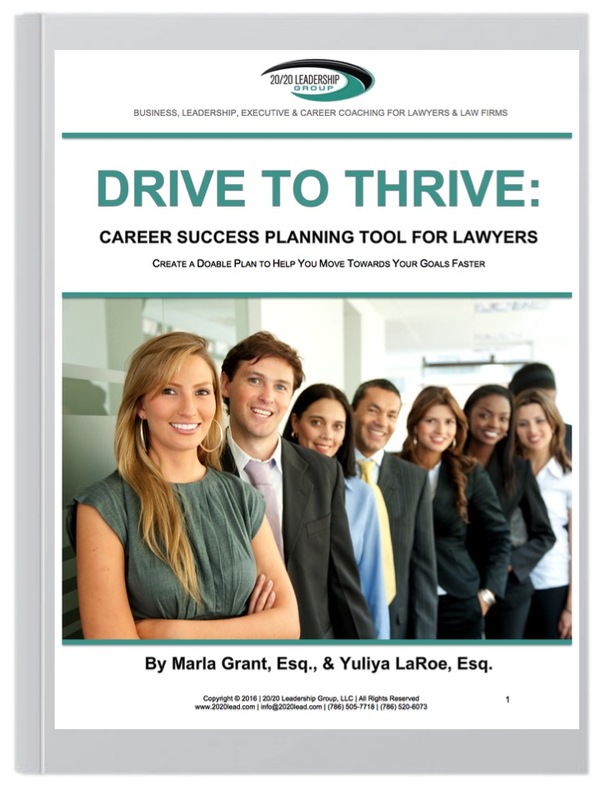 To help you take your legal career to the next level, download a complimentary copy of our Drive to Thrive: Career Success Planning Tool to help you create a doable plan that you can act on to successfully move towards your goals. Your information will be safe with us and we will never share it with any third parties.